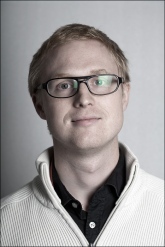 Since 2011 Ulrik Jennische is a PhD student of Social Anthropology at Stockholm University. He has degrees in Cultural Anthropology and Political Science from Uppsala University. His dissertation project concerns issues of development, democracy and small-scale trade in urban Ghana. Two major political processes have characterized the Ghanaian development during the last decades. The first is a democratization process, which began in the early 1990s and has lead to the fact that Ghana is now considered one of the most democratic countries in Africa. The second is a market liberalization process beginning with structural adjustment programs in 1980s. The progress has given Ghana a special seat in the development discourse; as a politically stable democratic example with high levels of economic growth. This study takes a different perspective on this development, and aims at understanding the dynamics of small-scale trade in a political and economic environment that is continuously changing. The study is situated in and around the central marketplace of Tamale, the capital of the Northern Region. Tamale is changing rapidly, due to larger infrastructural development projects and an intense urbanization process. Trading is in the middle of this, as the majority of the people moving into the city are looking for business opportunities of various sorts and scales. However, the marketplaces in Ghanaian towns are not only places for buying and selling goods, they are also information hubs in which news, rumors and ideas are exchanged. As such they constitute important sites for studying political mobilization and mediation. The research will be based on a yearlong anthropological fieldwork beginning in August 2012.